Hi there and welcome to our career training series. I’m Nick and I’m one of the team members here at myCNAjobs. Is this program being offered through an accredited institution? Making sure the program is accredited will be important in securing a job after you get your certificate. 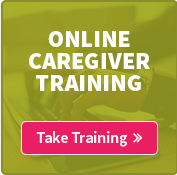 Check to see if the program meets your state’s requirements for training and clinical hours. At myCNAjobs, we only list accredited schools on our website however it’s still important to do your own research. Does this program offer classes at times that work with your schedule? Life can get busy, and making sure the classes and training fit in with your life is important. What type of training and equipment is offered? Asking the school what type of lab equipment they use in their program could be helpful in making your decision. Many programs will allow you to come take a tour of their facilities, or even sit in on a class! Some schools have the cost of their classes listed directly on the website, and for some schools you’ll have to ask. It’s important to know all the costs included, so you can determine which one provides the most value to you. If the program is online, ask when and where the clinical portions will be held. Online programs can be convenient for many people, since you can complete the textbook portions at home. Since a lot of the training will still be hands on, you’ll be doing the clinical portions on-site. Make sure that fits with your schedule and is convenient for you as well. That’s all I have for you today! Best of luck on your journey to further your caregiving career. 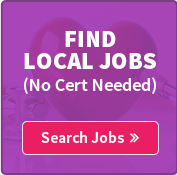 If you’re looking for companion jobs in the meantime, you can search for available caregiver, CNA, and home health aide jobs near you at www.myCNAjobs.com. We have positions available before, during, and and after CNA classes. Or if you prefer, just give us a call to talk directly with a recruiter at 312-275-3959. If you’re interested in getting your CNA certificate but aren’t sure where to start, myCNAjobs has the largest database of state certified programs available at www.myCNAjobs.com/find-cna-classes. In this video, we’ll go over a step-by-step guide on how to search the website to find schools that are right for you, common questions to ask, tips for finding the program that fits you best, and how to spot schools that have scholarships available.